Fill your house with the smell of fresh pumpkin or apple homemade potpourri. Using left over apples or pumpkin and a food slicer, you can easily make your very own tailored fall scent. Read the directions on how to make your own fall potpourri here. You will need a food slicer to slice up the pumpkin, apples, and other fruit that will be dried and used in the potpourri. Need a slicer? Find out where you can get a small and affordable food slicer here! 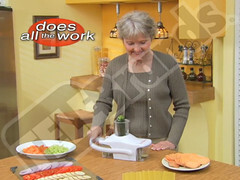 CW33 of Dallas has featured Slice-O-Matic in their ‘Does it Work?’ segment! 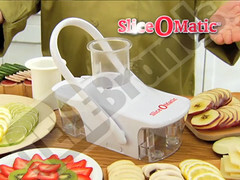 See what they had to say about Slice-O-Matic in the video here! Do you hate having to carve your Thanksgiving turkey with a normal knife? 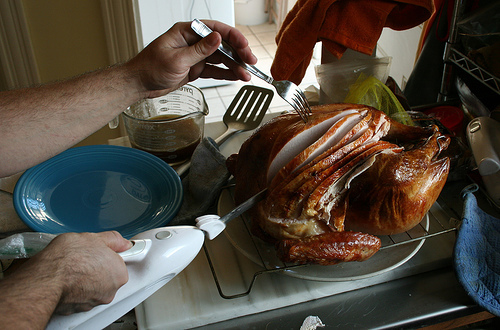 Check out this article on how to use an electric food slicer to slice your big turkey! 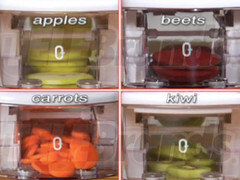 These slicers are great, but are not necessarily right for cutting most other foods. 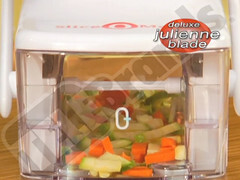 Click here to find a great food slicer that will help you slice and julienne fruits, veggies, and other small foods! 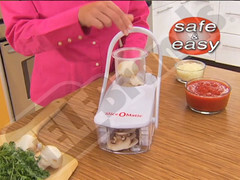 Check out this Squidoo page on how to make easy, healthy snacks! Learn how to save time and energy preparing snacks for on the go, while also maintaining a well-balanced lifestyle. Avoid having to go to the vending machine for a quick snack with these great tips! 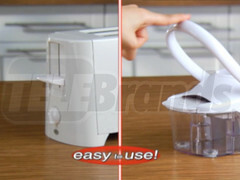 Electric food and meat slicers are heavy duty kitchen appliances, mostly used by professionals. If you are thinking of getting one of these meat slicers for your home, check out the different electric slicers available in this article. 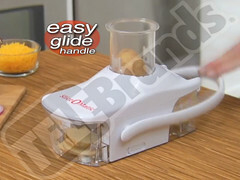 Need just a small, regular food slicer? Find out where you can get a light-weight, affordable food slicer here!